Lash extensions are growing in popularity everyday and it’s easy to see why. Waking up every morning with a full and fluffy lash line is hard not to love. We understand that although they look amazing, the process of getting them applied comes with a lot of questions and concerns. To help ease your mind, Neroli Salon & Spa Esthetician, Elise, is going to share her most frequently asked questions, and the answers that will ease your mind. After the Q&A we’ve listed some false lashes application tips & tricks that will make you a lash master in no time at all. What is the difference between lash extension application and false lash application? Lash extensions are bonded 1 natural lash to 1 lash extension. Each individual lash is separate. In a false lash application either a full band is applied directly on top of the lash line or cluster false lashes are used. When cluster lashes are being applied, there is no separation process. 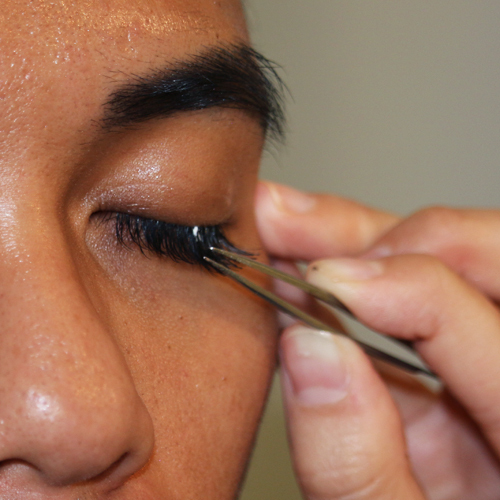 The clusters are placed directly on top of the lash line next to each other. No. When applied correctly, lash extensions do not damage the natural lash. As explained above, lash extensions are bonded 1 to 1, allowing the natural lash to grow uninterrupted by adhesive. How do you care for lash extensions? Overall lash extensions are simple to maintain. My recommendation is brushing the lashes with a disposable mascara wand in the morning and cleansing the lash line at night before bed. It is always recommended to use the products designed for your specific lash extension brand for cleansing. Last, avoid rubbing the eye area harshly when removing makeup, etc. How often should lash fills be done? Fills are recommended every two weeks to keep the lash line looking full at all times. Lashes do not all fall out at the same time. Everyday new lashes are gradually coming in as 1 or 2 of your natural lashes are shedding. This may vary in number person to person. When you are not wearing extensions, this process is almost undetectable. When you are wearing extensions, you become more aware of the process due to the difference in length from your natural lashes to the lashes with extensions adhered. Lashes. With endless choices of lashes, it can be a little intimidating to choose. You can buy individual eyelashes or lash clusters, or you can get strips of eyelashes and cut them yourself to create individual lashes. Individual lashes and lash clusters tend to look more natural than a full eyelash strip. Prep. If you want your eyelashes looking glam all night, apply the lashes after all your shadow and liner. Applying mascara after the lashes are adheard ensures a cleaner and less clumpy finish. Glue. Individual lashes and strip lashes use different glue. Individual or cluster lashes are applied directly to the lash, where the strip lashes are applied to your lid. This is very important to know because eye lids are very sensitive. The individual lashes use a clear liquid glue and the strip lashes use a tacky white glue that dries clear. Most lashes come with the correct glue inside the packaging, although you can buy it separately at stores more beauty stores. Application. 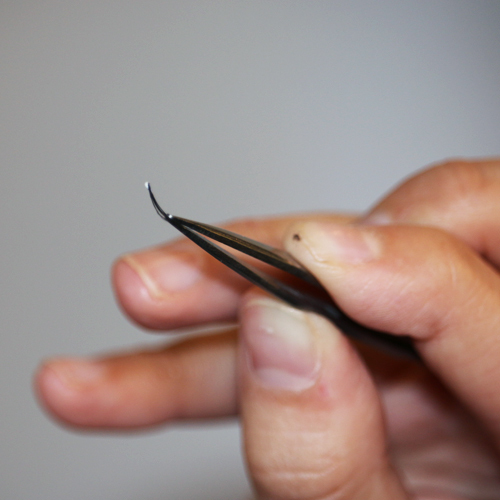 Lashes can be tricky to work with so using a tweezer to hold and place them makes a world of difference than using your fingers. Select one lash at a time and gently dip the end into your glue dot. Close your eye and attach the lash to the existing lash line, making sure the curl is following along with the natural curve of your lashes. The glue takes a couple minutes to dry so make any adjustments then. Follow these same steps for strip lashes. This blog was written by Neroli Downtown Esthetician, Elise. To schedule a makeup, lash extension, or spa service with Elise, call 414.227.2888.